As years pass by, I think it is natural to end up having a myopic attitude towards holidays. Holidays for me, by far are very less, even those that come my way are spent without realizing it went by. And those holidays no longer have a meaning attached anymore, sorry to say that! I remember during childhood when on Republic day we used to do either the drill or March at school. Few years later, it was at least simply attending the school for either Republic day celebrations or Independence day parade. Then during early years of marriage, I made sure I caught up the celebrations in TV. Sadly now it has boiled down to mean a holiday when I can either catch up with pending work at home or on the blog. Or even better cook something new. This was my original plan for this 26th, but just as I know, plans get changed so easily. I was at home, trying to do some work but boy my boys! Gosh they know tactics how not to make one work. It was either Peddu complaining or Chinnu complaining all the time. I had plans to make buns, only at the last moment realized my yeast of many months old had died on me. I went to buy but it was not in stock. Came back resigned to do whatever I could. But in the end couldn’t do much. So at least thought I should make the lunch special on account of the holiday. And I was happy to get hubby dear appreciating a feast that was laid out. Guess what I forgot about the dessert! It stuck me that dessert was missing and asked if he could wait for 15 minutes. I immediately set out to make these Vanilla Short Cakes. 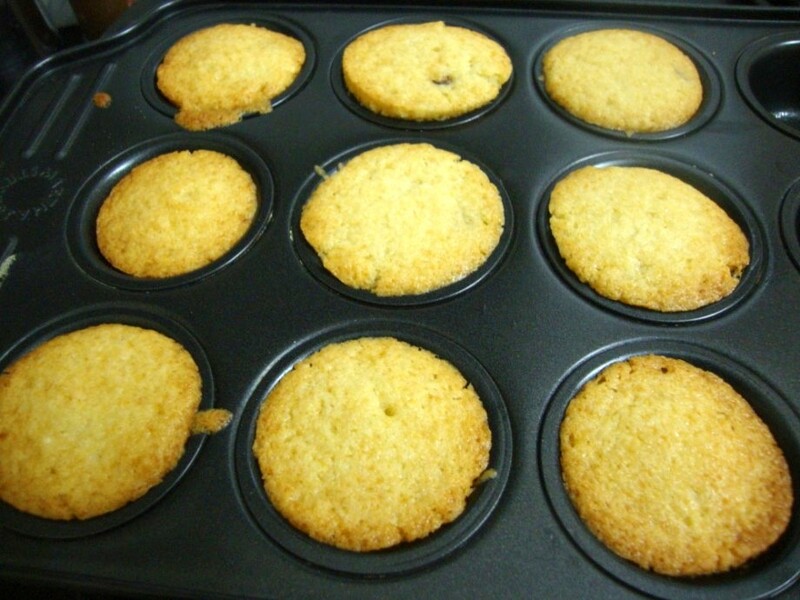 I actually baked them in muffin trays, but the batter and method were more of a ShortCake. I had a great confusion on what to call these. Though these didn’t come through clear off the bottom, they were so soft and delicious. 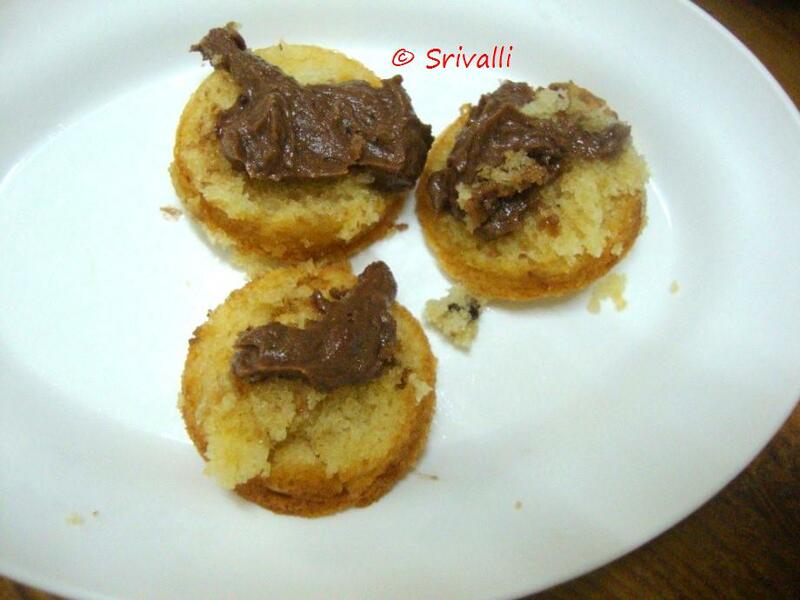 I had made Chocolate Icing, hoping I will make muffins. Whatever these tasted great. Spot solution for quick Nirvana is what I will call these! Mix the dry ingredients together in bowl. Pre heat the oven at 185 degree. Then grease the muffin tray with butter and bake for 10 mins. Once it is baked, allow it to cool down. Then scoop down a spoon over each of them before enjoying them! 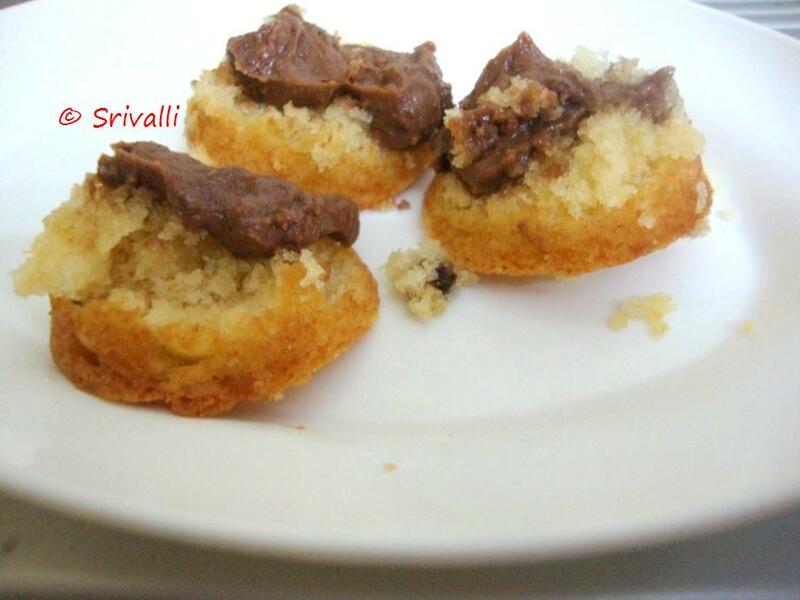 These were really very delicious, I know I can’t tag it as one particular bread or cake. But really tempting ones! Vanilla essence really added quite a drama as the bakery baked cakes.